The annual Stockholm Furniture and Light Fair kicked off on Tuesday, and Icon was there to seek out new designs and emerging trends. Wandering through the fair, there is a strong sense that Swedish, and more broadly Scandinavian, design follows an iterative process of slow improvements over time. Many of the works are not necessarily exciting or new, but they work – and work well. The combination of these and products and furniture produced with or by designers from further afield makes for a pleasant mix, and the fair as a whole feels thoughtfully conceived and presented. A great example is this year’s Greenhouse exhibition, designed by Swedish design practice Form Us With Love, who launched their careers on this very spot 10 years ago. The ambience is a little rougher and less self-assured than the slick displays in the main halls, but there are some stand-out pieces. Among these is a wonderfully polychromatic collection by Swedish designer Petra Lilja and Polish curator Magdalena Poplawska. Their Irrational Times project is a Slavic-tinged, Swedish reinterpretation of the Memphis Group. Despite appearances, their totemic coat-stand (pictured below) is also a practical piece in its own right. Just outside, British designers Edward Barber and Jay Osgerby – the fair’s guests of honour – have taken over a central space with their installation Triptych: three distinct spaces arranged with furniture and lighting to explore the increasingly blurred boundaries between spaces for work, relaxation and socialising. In the main hall, major brands such as Muuto and &Tradition are showing new works by several designers, including cushions and a sofa by Andersson & Voll and Jaime Hayon's smooth Palette tables respectively. Wastberg Lighting unveiled the Dalston light by British designer practice Industrial Facility, inspired by east London workshops and warehouses (featured below and in our current issue). At the Adea stand, Lars Beller Fjetland is showing his Aile chair – inspired by classical armchairs, but scaled down for urban living, while Kvadrat is launching new colourful textiles by Scholten & Baijings and Cristian Zuzunaga. Meanwhile, Carl Hansen & Son has recreated one of Hans Wegner’s early chair designs. The temperature outdoors may have been close to freezing, but many brands were looking forward to warmer times, presenting furniture and accessories for the outdoors. The biggest names among these were Ronan and Erwan Bouroullec, whose Palissade benches (below) were on display the Hay stand. Elsewhere, Danish brand OK Design and a group of 18 Russian designers and collectives, the Naturalist, showed off lightweight furniture and planters. Elsewhere Menu stood out for its understated new collection Modernism Reimagined (pictured below) that includes simple, elegant furniture and accessories by Swedish designer Jonas Wagell and others. Nearby, the 2016 collection by Woud was notable for its minimal, yet vibrant wooden storage units, shelves and tables. 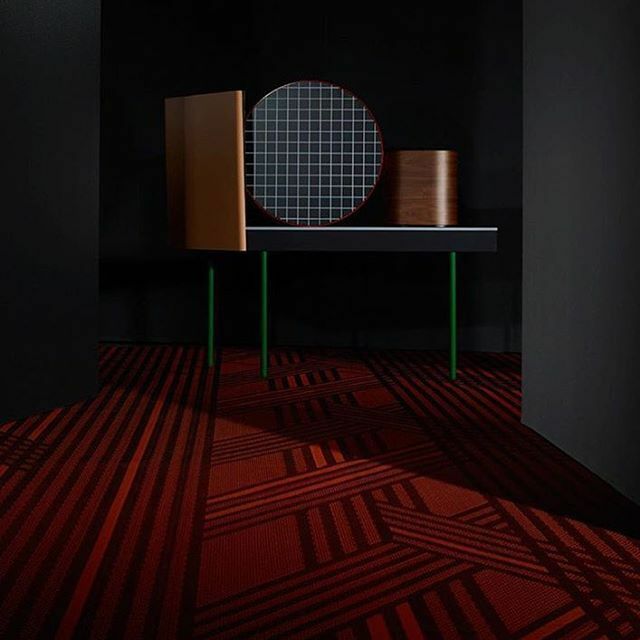 One of the more striking stands was that of Swedish flooring brand Bolon, for which London design duo Doshi Levien designed an architectural display for its new customisable collection, Bolon By You (pictured below). Standing among the stands of branded furniture was Aurora Design, a small, standalone exhibition presenting the forefront of Scandinavian design. Here, Iceland’s Garðar Eyjólfsson’s presented his Sulphur Archive (top image), which combines polished basalt slabs with sulfur bowls. Conceived as decorative collection of display or storage vessels, it is a wonderful call to designers to make do with limited resources and engage all our senses (including smell).